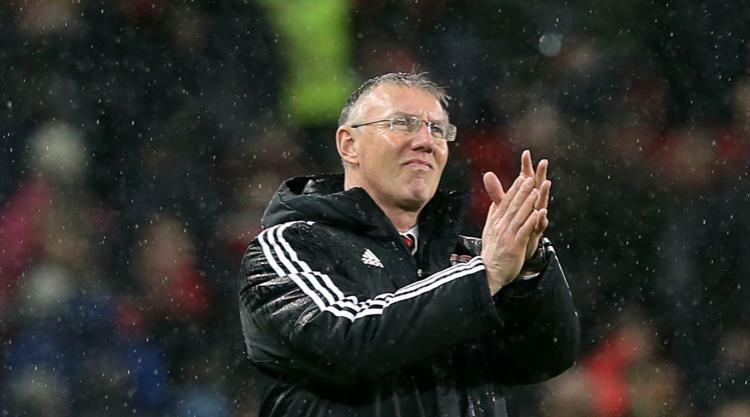 Hull have appointed Nigel Adkins as their permanent new head coach on an 18-month deal, the club have confirmed. Former Scunthorpe, Southampton, Reading and Sheffield United boss Adkins, 52, becomes the Tigers' fifth manager in less than 17 months and replaces Leonid Slutsky, who departed by mutual consent on Sunday. A statement on the club's official website said: "The Tigers are pleased to announce Nigel Adkins as the Club's new Head Coach." The statement continued: "Adkins, a Championship promotion-winner with Southampton in 2012, will be joined at the KCOM Stadium by his trusted assistant Andy Crosby on an 18-month contract. "As well as his success with Southampton, where he took the south coast club from League One to the Premier League with back-to-back promotions, Adkins also guided Scunthorpe United to promotion in 2007 and 2009, and has spells in charge of Reading and Sheffield United on his CV. "Adkins, 52, will oversee his first training session this morning and will take charge of the side for Saturday's home game against Brentford." Adkins has been out of work since being sacked by Sheffield United in May 2016 after just one season in charge. He had been tasked with steering the Blades to promotion from Sky Bet League One but they finished eight points off the play-offs and he was replaced by Chris Wilder. Adkins has twice guided Scunthorpe to promotion from League One and steered Saints to the Premier League in 2012 but was dismissed halfway through the following season. Slutsky, the first Russian to manage an English club, was appointed by Hull last summer following the club's relegation from the top flight. But the former CSKA Moscow and Russia national team coach won only four of his 20 Sky Bet Championship matches in charge and left the Tigers in 20th place, three points above the bottom three.